Green chilly -- slit open -- 2 no. For those who wants to add cinnamon,cloves,cardamom instead of urad dal, channa dal may add to give a Pulao flavour. Chop the tomatoes into cubes and keep it seperately. Take a big kadai and add the oil. Add the add items given in the tempering section one by one. Splutter the mustard seeds. Add the urad dal ,channa dal and fry till it becomes light golden brown. Followed by curry leaves. Add the onions,green chilly and saute well. Drop in the ginger garlic paste and stir so that it doesn't burn. Transfer the tomatoes into this mixture and saute well. Tomatoes shud be cooked well. U may mash it with the back of ur spatula to get a pulpy mass. To this, add the turmeric powder, Red chilli /K.M. thool ,salt and saute well. cover it and cook keeping the flame in medium low. U don't have to add water since we need a soft mass to mix with the rice. Cook the mixture for min. 5 mts. U may take a dash and check for the taste. If everything goes well, u may add the rice slowly into this mixture and combine. Do not dump all the 1 1 /2 cups of rice. Add little by little so that everything would be homogenous.. 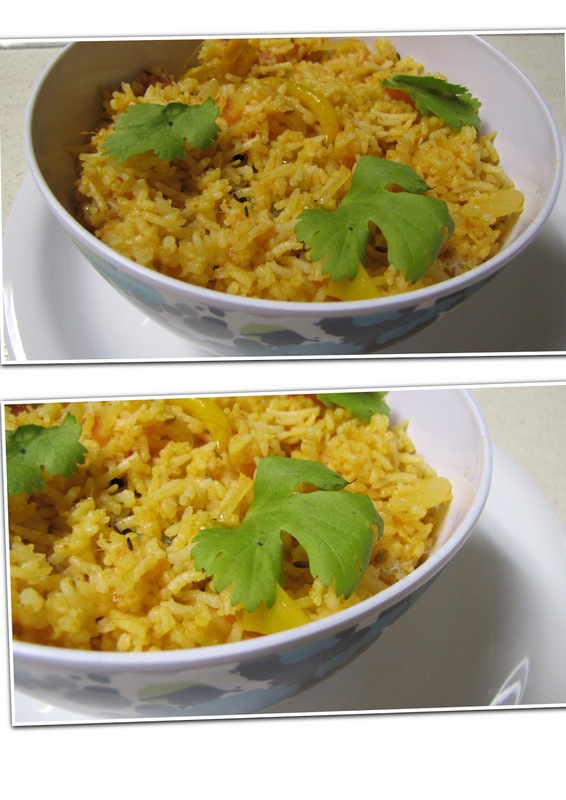 Enjoy the rice with raita or any veggie of ur choice.